Zarejestruj się wpisując adres e-mail oraz numer telefonu. Po wpisaniu danych możesz zacząć korzystać z programu. Załóż darmowe konto. Зарегистрируйтесь вписывая адрес электронной почты и номер телефона. После ввода данных можете начинать пользоваться программой. Зарегистрироваться бесплатно. Invoicing has never been easier. 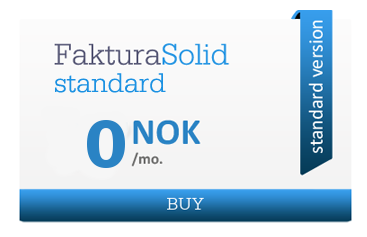 Faktura Solid is an online invoicing software created especially for Norwegian entrepreneurs. What is most important – it’s fast, simple and always available. An “electronic invoice” is available for your client immediately after being issued, that helps you to save time and money. Enjoy the pleasurable user experience on our site. 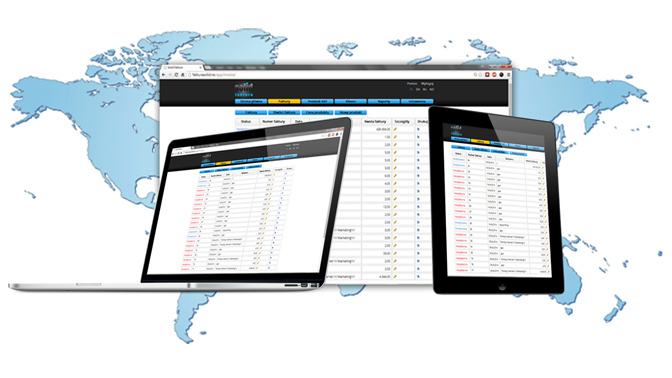 Thanks to the intuitive interface you are just a few clicks away from getting your task done. Issue invoices in Norwegian thanks to a built-in translator feature. With a single click You can create a Norwegian sales document which is made in accordance with the mandatory standards. The intuitive interface will take your productivity to a whole new level. 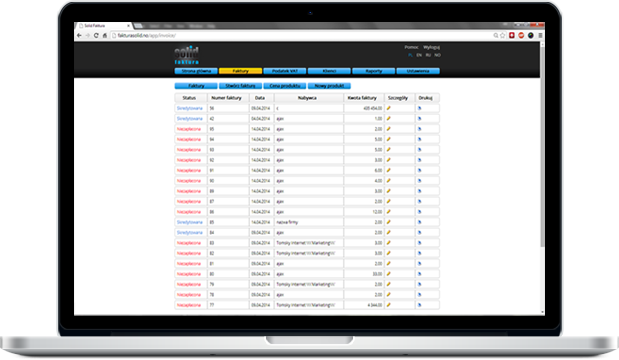 Issuing invoices has never been easier before. Save your precious time thanks to the simplicity and the usability of the site. Whenever you are, your pocket accounting is always with You. It doesn’t matter if You want to issue an invoice while visiting a client or during a business meeting. Thanks to the cloud-based operation You are granted with the full access to the program all the time. 1.What is a zero value invoice? A zero value invoice is called an invoice without VAT. You can apply for it when importing goods to Norway. As a result You will not have to pay VAT for imported products and the double taxation will be avoided. 2.Are income invoices in itself sufficient information to calculate the VAT amount? No, VAT remittance is based not only on issued invoices, but also on the basis of the costs incurred by the enterprise. 3.What should I do if I want to send to a customer a corrective invoice, but because of the negative amount I am not allowed to proceed. In this case you should issue a credit note. Therefore the program will prepare a check or a bank transfer for adequate amount. A credit note can be issued to correct a mistake if the invoice has been overstated or to reimburse the buyer completely if the goods have been returned. 4. Does possession of invoicing software is required from a business owner? No, You can issue your invoices in writing, however, using a dedicated software makes it a lot easier and quicker. Furthermore you are creating an easily accessible database with information you may need in the future. Whether its calculating tax or tracking payments. 5. What must be stated on invoice in Norway? Your invoice must contain the following: 1. An invoice number at the top of the page, that number must be sequential, based on one or more series, which uniquely identifies the invoice; 2. The seller’s name and organisation number consists of 9 digits, followed by the letters MVA if the enterprise is registered in the VAT Register 3. Date of issue, highly important, since tells you which period of operation it concerns. 4. Due date for payment. It is essential to manage cash flow. It is a business owner’s responsibility to control payments. In the case of delays, the reminder must by send to the customer. 5. The buyer’s name, address or organisation number, as opposed to the bill, an invoice is personal and shows the other side of the transaction. 6. Seller’s bank account number . The customer should know where to transfer the money for goods or services . If your business is done in cash, a cash register is required. However, the tax office draws particular attention to the fact that payments in the company should be held electronically, because it helps to maintain order in the accounting records . 7. Description of a service or products for which the invoice is issued. It is important that the description is extensive and detailed. For each different type of item listed in the description you must show: -the unit price or rate, excluding VAT -the quantity of goods or the extent of the services -the rate of VAT that applies to what’s being sold 8. The total amount , which the customer must pay for the service or goods. VAT payers write down the VAT amount payable separately. The invoice can contain optional information such as: internal client number or KID (which translates as the customer identification number). Particular attention should be given to invoicing, on their basis the integrity of the company is assessed. Any disorder in company’s documentation may lead to allegation of fraud. 6. I have registered a business, when can I start invoicing ? You must not engage in any business activity until the confirmation that you have registered your company has been received. A certificate of registration will include an organisation number, which needs to be stated on every invoice. Before the first invoice can be issued, a business bank account must be opened. 7. I am running a transporting company as a sole proprietor in which I use my private car. Can I use my business account to pay for fuel ? Firstly you should buy a company car. For now you must keep logs of vehicle mileage records in a travel log which is called kjørebok. While using a private car you are allowed to claim 4,05 NOK per business km up to 6000km in total. 8. Does anything change in invoice numeration after the start of new year? Does client’s identification numbers are being changed as well? An invoice number must stay consequent to the last issued invoice in the previous year and must be continued. Client’s numbers should remain unchanged. 9. If I own a business contract for my phone may the invoices be included in business costs? Any expense directly related with the activity of the company is a cost, telephone bills are considered direct business expenses. 10. I am unemployed, but I have a valid work permit and tax card. Can I issue an invoice? To be able to issue invoices you are required to be registered in the Brønnøysund Register Centre and possess the organisation number (organisasjonsnummer). This means that you should start your own business. If you do not want to do that, you can open a sole proprietorship (enkeltmannsforetak). This process is free of charge, and if your income will not exceed 50 thousand NOK per year it is not going to be complicated. 11. I am running a construction company and while invoicing I divide the total amount into two parts – the materials and the service provided. How to properly list the information on the invoice to avoid double taxation on materials? The information should be stated as follows: – the net amount of construction services, – the net amount of the materials, The value of the second amount depends on you. Whether you want to earn so extra money on the materials (enter an amount greater than you spent on them) or enter an amount equal to your expense, and then the VAT and the net amount for the materials are balanced. Regardless of which option you choose, you have to enter to the Register of Business Enterprises (Foretaksregisteret), which is necessary in this situation. 12. What should I do when the customers are being late with the payments? If two weeks have passed from the due date, you should send your customer a reminder (purring) with a new payment date extended for 14 days. A penalty charge can be additionally claimed in the amount of 54 NOK. The next step is Inkassovarsel, this is a warning of debt collection, and the invoice must be paid in full within the set time limit – usually another 14 days with the maximum fee of 54 NOK. The final step is to send an invoice to the debt collectors company. It will add further 162 NOK fee and interests. 13. I am self-employed on parental leave, I would like to work in the afternoons or on weekends. Can I issue an invoice? During the parental leave you are not allowed to issue any invoices, as well as you cannot work on weekends and after 4pm. 14. In order to calculate the VAT for declaration, I count the amount of tax from expenditure documents, count up VAT from the issued invoices and at the end I calculate the difference of those values? Yes, but you should keep in mind that not every taxes can be deducted. 15. I am a registered as a VAT payer in Norway . Does the output VAT apply to me? 16. How my data is protected? Each user account is protected by an individual password created during the first login. In case of payments we are offering paypal as the most secure way for online payments. 17. Does the MVA abbreviation must appear on each invoice issued in Norway? Yes, It is very important that the every invoice includes the seller’s organisation followed by the letters MVA. The lack of those letters on a paid invoice will cause the buyer, who is also running a company will not be able to deduct the input VAT. 18. What does MVA abbreviation, which is located on every invoice stand for? 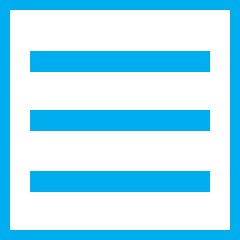 MVA stand for Mervediavgift, which is a value-added tax in Norway. VAT is a sales tax calculated on all links in the sales chain. The state levies VAT on goods and services sold in Norway. Some services, such as health services and education, are exempt from VAT, however. You will find information about what is exempt from VAT in the Norwegian VAT Act. The overall VAT rate is 25%, with the exception of food and beverages, for which it is 15%, and passenger transport and cinema tickets, for which it is 10%. The 10% VAT rate also applies to accommodation (hotel, letting of rooms and cabins, etc.). All taxable persons, who exceed NOK 50,000 in taxable sales (including self-supply) over a 12 month period are obliged to complete a registration form and submit it to the County Tax Office. 19. I have recently heard from a friend that he settles a VAT return once a year. Is that really possible and what are the requirements ? Businesses with sales of less than NOK 1 million in the course of a calendar year can apply to the tax office for permission to submit a VAT return once a year. The deadline for applying is 1 February. For businesses that have been permitted to submit annual VAT returns, the deadline for submission and payment is 10 March. All other companies must submit a VAT return and pay VAT every two months. 20. Do I have to register business in the VAT Register in Skatteetaten personally? Are there any other ways? Applying for the VAT Register in Skatteetaten personally is one of the available options. In that case you need to bring a properly filled Coordinated Register Notification form to the tax office. Alternatively the form may be filled in electronically on Altinn.no. If the business does not have access to Altinn.no, it may instead send the form by mail to the Central Coordinating Register for Legal Entities. 21. I have been running a business in Norway for several years now, and yet, first time it happens to me that the tax office has made too high assessment for the amount of VAT I owe. What shoud I do? In such a case the tax office is not to blame. The problem resides in a incorrectly filled VAT Return form by You or your accountant. The tax office controls your VAT calculations and has a full right to accept them or to question them based on the best of their judgement and make an assessment for the amount of VAT that they believe you owe to the government. In the second scenario all you can do I to write an appeal letter referring to the decision or pay the amount of the assessment. 22. Does Skatteetaten may charge tax on its own? Everyone who lives and works in Norway is obliged by law to file a tax return. If the due date has passed and you haven’t submitted your return, the tax office will make an assessment for the amount of VAT that they believe you owe accordingly to their documentation. Usually the assessed amount by the tax office is higher than necessary minimum. 23. I travel to Norway from time to time, because I run my business there, however I have a family in my native country with whom I spend most of the time. Can I benefit from the commuter status (Pendler) and what does it offer me in those circumstances? A Pendler status entitles you to claim a tax deductions for commuter expenses, such as food, accommodation and travelling home. As a commuter, you are required to meet a few conditions like visit your home frequently, e.g. a family commuters must have 3-4 home visits per year. It is important to submit a complete set of documents by the 30th of April. 24. Does the program Faktura Solid work on Windows and Vista 7/8/XP? Program Faktura Solid is available on-line as a cloud based service thus you can access it from any internet browser. 25. Is it possible to issue a correcting invoice using a program Faktura Solid? Yes, in every case it is possible to issue a credit note so-called kreditnota. The Faktura Solid software was designed in compliance with the Norwegian Accounting Act, and therefore it is mandatory to provide all the necessary features to allow you to issue a correcting invoice. 26. What shall I do if the computer shuts down on me while I was using the software ? Is it possible to recover the lost data ? Yes, all the information can be restored, since the program Faktura Solid works on an external server and your computer malfunction has no effect on data in our system. 27. Is it possible to use the program on different computers? Yes, each user account receive an individual login and password, which allows you to log in to our service and use the program on different computers. 28. If my internet connection dies down while I’m using the software may it lead to a data loss? No, because the program Faktura Solid works on the external server and the user’s computer malfunction has no effect on data in our system. 29. Can I send an invoice by e-mail or do I have to print it? 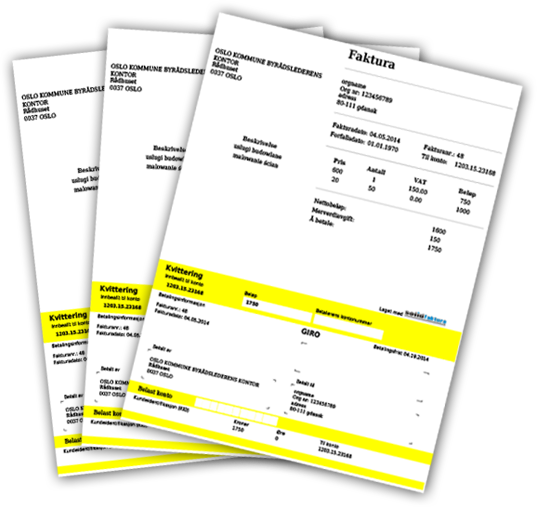 Faktura Solid generate all the invoices in electronic “pdf” form. As a consequence you can both send it straight to the customer or print it.